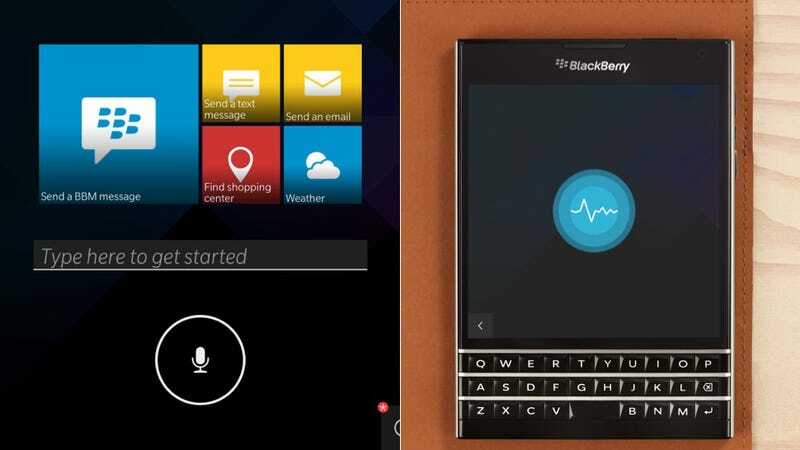 Today, BlackBerry is giving us our first look at one of the key features of BB 10.3: A voice assistant. Like everything else the company formerly known as RIM does these days, BlackBerry Assistant would have been revolutionary years ago. Today, it's just an obvious feature that's too late to make it a differentiator. If I'm driving and I ask it to read my latest email message to me, it does so. I can then ask it to "Mark Unread" without having to enter the BlackBerry Hub. If I'm in a meeting and I type "Remind me to follow up with Matt about our whiteboard session," it builds me a reminder note that I can save without leaving the Assistant. Oh and you can use your voice to turn on the flashlight. That's pretty nifty I guess. But overall, the voice assistant doesn't do anything we haven't seen from the Apple, Google, and Microsoft competitors. And like the company's boxy new Passport phone, it probably won't be enough to fight back against the decline, no matter how many times the company says it's still alive. But since we haven't tried it yet, it's only fair to wait and see if BlackBerry Assistant can keep up when it's available in the fall. I'm told there are a number of fun Easter eggs built-in as well, which I can't wait to stumble across.